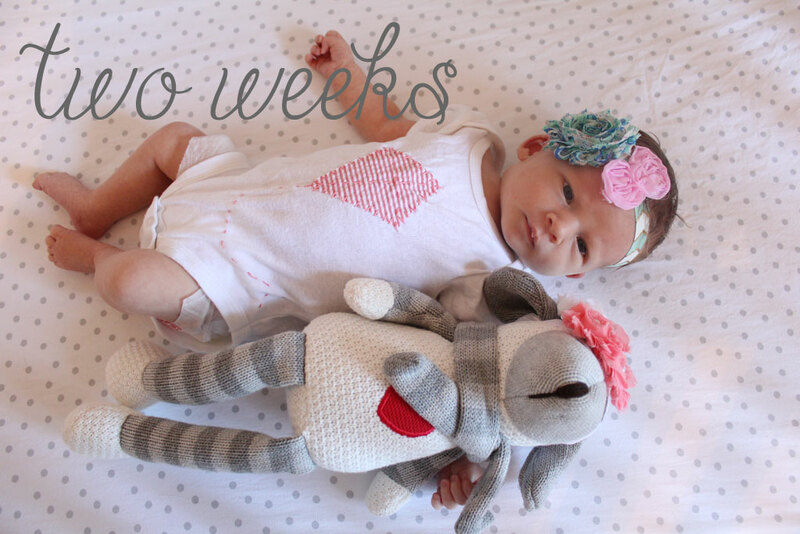 Little Miss Taylor turns one month old today, which is insane! The month of July has flown by! That phrase: the days are long, but the years are short, has never come into my mind so often! I love motherhood and am head over heels for my little nugget. I haven’t ‘accomplished’ much this month other than lots of baby snuggles and getting the hang of this whole parenting thing, but I feel like that is exactly what the first month of motherhood should be like! I loved doing my pregnancy updates, and getting to look back at how I changed over the 9 months, so I’m going to try to do that for Taylor as well! 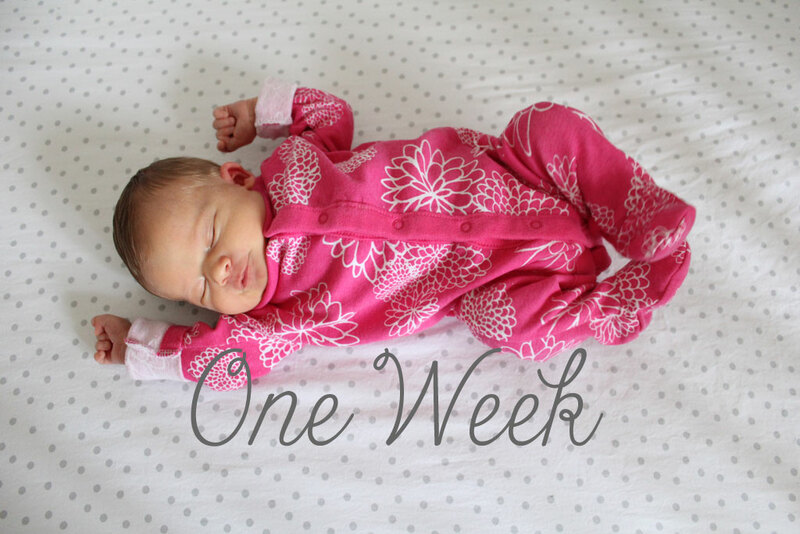 So far I’ve been taking weekly photos of her (mostly in her crib and mostly with her little lamb… consistency isn’t really my strong suit!) so that we can see her grow! Milestones: Taylor can almost hold her head up, she can focus on people’s faces and just barely started smiling at people. I’ve got a whole lot more to say about mommy-hood and I’ll probably blog about it, but it is amazing to me how much they change EVERY DAY and how much like a little human she is! 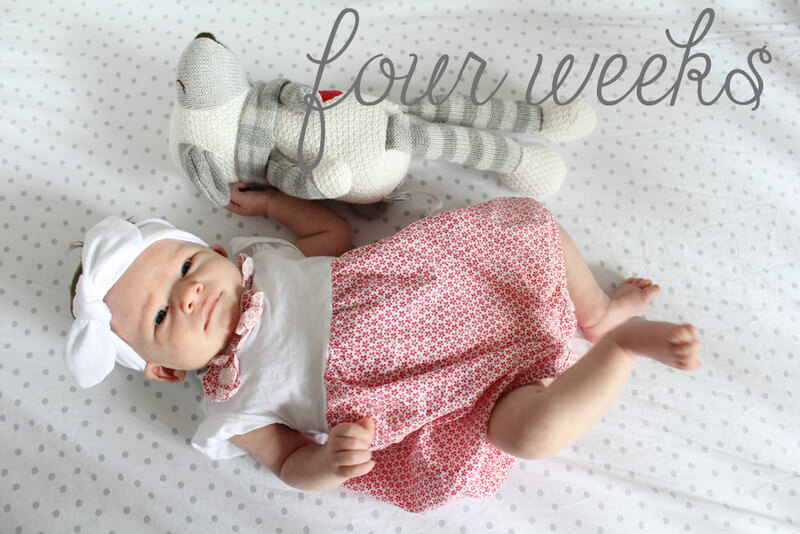 She has grown a LOT–including adding on 11 ounces in one week! (she’s supposed to gain between 5 and 7 each week) And weighs in at around 9 lbs right now. I love all her little outfits and I’m definitely going to be sad to see her outgrow some of them! The one in her week four picture came all the way from Italy from some friends of ours and the week two outfit was handmade from one of my best friends (thanks Em!). But I think I’m in trouble if I’m already getting nostalgic about her outfits. She is just beautiful! I can’t believe how much she has grown each week! Motherhood suits you!